According to a report which has flown almost completely under the radar, last year an ISP sent out around 300 “first strike” warning letters wrongfully accusing innocent subscribers of Internet piracy. ISP Eircom implemented the scheme in partnership with the recording industry and is now being investigated by the Irish Data Protection Commissioner. A hacker working on a jailbreak for Apple’s upcoming iOS 5 says he is considering introducing a very controversial feature. Stefan Esser, known online as i0n1c, says the idea of installing his own DRM in order to block pirate apps is going “ping pong” in his head. The team behind Installous, the world’s largest cracked app repository, informs TorrentFreak this is a very bad idea. 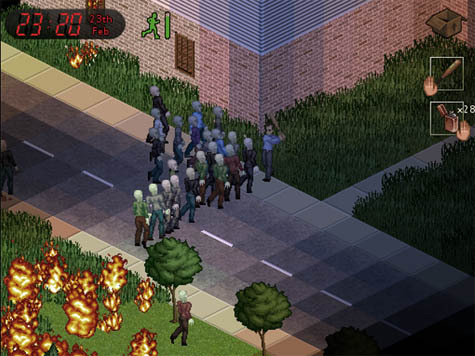 A popular indie zombie-style RPG game has been taken offline due to an unofficial feature made available in a cracked copy. The developers of the game say that they usually turn a blind eye to piracy since it could have benefits for their project, but when pirates keep using their servers to get updates instead of using BitTorrent, they had to make a stand. The copyright infringement lawsuit filed by FilmOn founder Alki David against CNET’s Download.com has brought to light an interesting fact. In their complaint, plaintiffs allege that CNET profited from copyright infringement as the site was the main distributer of LimeWire. Although CNET’s liability is far from proven, it is certainly worth noting that Warner Music director Shelby Bonnie was also CNET’s CEO at the time LimeWire got sued. Following last year’s failed High Court bid to force an ISP to adopt a 3 strikes-style regime to deal with pirates, the Big Four record labels are set to get their way through a change in the law. If adopted, proposals published yesterday by the Irish government would allow copyright holders to hold ISPs liable for infringements and take out injunctions against them. The Mozilla Foundation has released to the world the Firefox browser and Thunderbird mail client and the mass of other open source programs. By developing and promoting their projects, the organization can always count on a large developer community volunteers. And just to think about them prepared ranging substantially larger project called Drumbeat. It involves nothing less than how to create "a better Internet." According to the information the FBI was given each day takes a magnifying glass huge number of people suspected of terrorist activity. The "Washington Post" wrote the day before the service Secrecy News that between March 2008 and March 2009, the U.S. Secret Service reported a daily average of 1600 suspicious to the police anti-terrorism record. According to the act, which the FBI sent in September, the Senate justice committee, put these people in the database has been supported by sufficient evidence. The company ESET has released a list of hazards that often infect users' computers in October this year. The first three items took risks, which invariably led to this year's rankings, and only in October were the cause of almost 24% of all detected infections. Cyber criminals use high interest test version of the Google wave. In-mailing invitations promising access to applications and the ability to seek profits from the sale of the program, and thus try to take the distribution of malicious programs. Attack primarily at risk are people who wish to get into the Google wave.